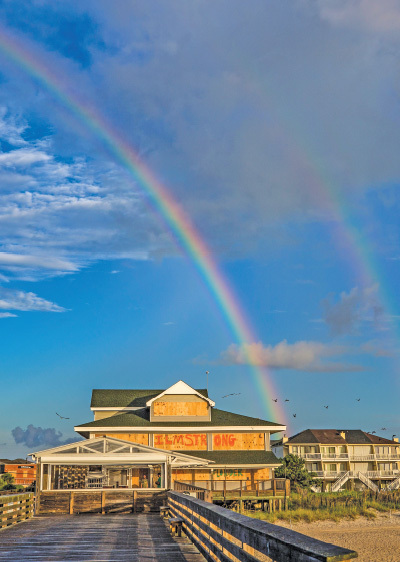 For those looking for arranging a gathering, large or small, there are two waterfront locations in Wrightsville Beach with the most stunning views. Oceanic Weddings: Crystal Pier, Great Food, and Gorgeous Views! Coastal cuisine, stunning views, and a spectacular space for private events. Oceanic has all the things you need for a wedding no one will forget! 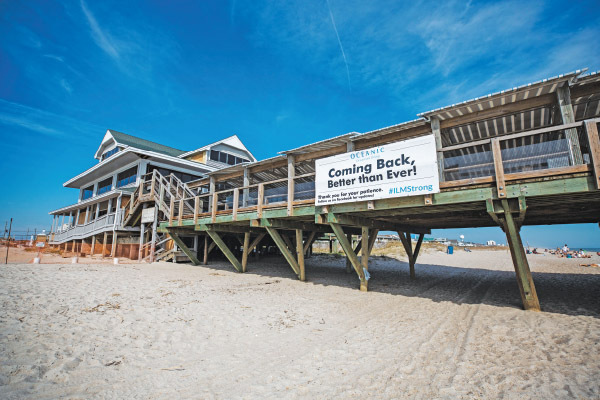 Oceanic Restaurant is Wrightsville Beach’s destination for coastal elegance. The setting is a serene and truly one-of-a-kind wedding venue. Oceanic is directly connected to a pier that juts out over the crashing waves of the ocean. Additionally, in the heart of this coastal town, the stunning venue stands on stilts above the sand. This makes Oceanic weddings and receptions all the more picturesque. Beyond that, though, the staff is ready to help make your event exactly what you dreamed. Article Permalink: Oceanic Weddings: Crystal Pier, Great Food, and Gorgeous Views! Somehow food just tastes better outdoors—that’s why we love to grill. That’s why we have picnic tables and patio furniture. And that’s why Wilmington NC restaurants have created terrific outdoor patios for dining. We love eating outdoors on a pretty day! Sometimes it’s just too nice out to duck inside a restaurant. Luckily, Wilmington, NC restaurants know their patrons well, and that means they offer plenty of awesome outdoor patios and dining areas. Here are a few of Wilmington’s best outdoor patios for your dining pleasure. The breeze, the view, and the scent of salt spray–we all love to dine at the waterfront! The fresh air whets our appetites and it’s a pleasure to linger with a drink after our meal. Whether you’re planning a big wedding or a tiny one, Wilmington, NC has the perfect venue for you. Wilmington wedding venues and caterers have all the resources to give your wedding just the right touch. To get you started on your search for the perfect wedding venue and caterer, here are some of Wilmington’s favorites. North Carolina diners are lucky to have many excellent options when choosing waterfront dining. So many, in fact, that it’s hard to know which one to choose when you’re feeling like getting out of the house and enjoying a tasty meal with an ocean view. Today, we have a recommendation for you: a pretty little restaurant right on the ocean. Take a look!